OnePlus has rolled out the Android 8.0 Oreo beta build to the yesteryear models - OnePlus 3 and OnePlus 3T and this year's OnePlus 5 as well. However, the latest one to be launched by the company, the OnePlus 5T is yet to receive the update. 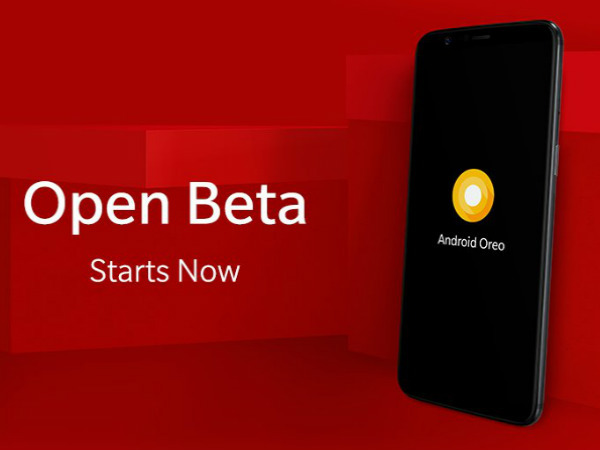 While announcing the OnePlus 5T, the company had confirmed that it will roll out the Android Oreo beta update to the smartphone by the end of this year. It was also mentioned that OnePlus 5 will get the beta build of Oreo by November end. Going by the announcement, it looks like the company is working on the same and that they will be rolling it out via closed and open beta programs. A recent tweet posted by OnePlus Germany via TheAndroidSoul has also teased that the Android Oreo beta build will hit the OnePlus 5T soon. The tweet shows the smartphone with the Oreo logo and the caption reading "Open Beta starts now". On translating the text on the tweet, it reads, "Christmas is over, but we still have a gift for you! ;) How about with the open beta for Android Oreo on the #OnePlus5T!" Though the tweet shows that the Open Beta build is all set to reach the OnePlus 5T, the smartphone is yet to be made available for download at the OnePlus 5T ROM Downloads page. Also, our OnePlus 5T units are yet to get the beta build and there are no reports of users getting the update on their devices for now. While the update is yet to be rolled out to the smartphone, the tweet posted by the Twitter handle of one of the official OnePlus accounts hint that the update will soon hit the smartphones and everyone can enjoy the new features brought in by Android Oreo such as picture-in-picture mode, notification dots, autofill, faster boot times, instant apps and more.